The majority of our population drag on their lives without any set goal or aim. We were unable to digest this bitter reality. Hence, we wanted to do something to help the society. We formed a Consumer Protection Organisation on 15.8.1998, and called it Consumer Awareness and Rural Education Society. We got the acquaintance of Mr.Warrant Balaw, Researcher in law and Mr.Senthamil-k-kizhaar around 2001, until which we were in the dark as to how to go about achieving our goals of fighting corruption and all transgressions of law. Our bold activities have been prompted by the proper legal awareness. 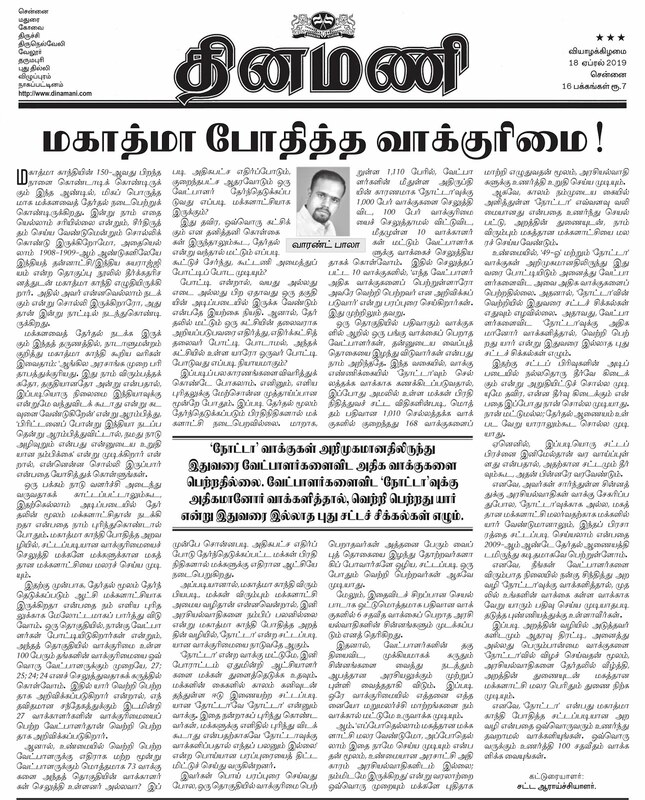 We felt that the enlightenment, attained by us from this legal awareness, should be passed on to the rest of India through this website www.neethiyaithedy.org created by all three of us, ie, the Care Society, Mr.Senthamizh Kizhar, and Mr.Warrant Balaw. The Govt. of India should make the legal education a basic and mandatory one. The concerned state governments should have the laws translated into the vernacular languages and published. The local language should be made the court language of the concerned state upto the level of the High Court, to enable even the laymen to plead their own cause before all these fora. In 2005, we parted company with Mr. Senthamizh Kizhar, as he started acting erratically, and was doing arbitrations, claiming to be a Special Judge, and eventually, landed himself in jail, being booked for false personation in the year 2010. Hence Mr.Warrant Balaw research work was continued without the association of Mr.Senthamizh Kizhar. We felt thrilled when Mr.Warrant Balaw’s proposed idea of mandatory law education even at the basic education level itself, before the end of 2010--enunciated by him as early as 2000--was adopted, though belatedly and independant of our proposal, in 2009 without fixing a time limit, by the Central Human Resource Development Ministry headed by the redoubtable Mr.Kapil Sibal, a former Supreme Court lawyer, and his Ministry proposed to implement it for the sake of human resources development in India! But, unfortunately, the legal fraternity, motivated by its usurious instincts, is bitterly opposing this very move, and it goes to the extent of opposing even the Village Courts (Gramin Niyayalayas). To confirm the above statement against the advocate franternity you may vide the video clipping by clicking here. We insist that the unfair agitation by the advocates should be brushed aside, and the sane, school level legal education programme-should be implemented without any further delay. The Govt. of India is undecided about its own decision, and has not gone for implementing it. But, we have not stopped our movement, and continue our campaign for spread of legal awareness and awakening. The advocates, could have have prevailed over the Ministry, made up of mostly by advocates, but they cannot prevent us from carrying on our own campaign. Though the Govt. failed to implement its decision to create law awareness even at school level, we, as an NGO have completed our task of researching and guiding the ordinary people asto what their duties are and how to carry on their fight for all their legal rights without depending on the generally usurious lawyer franternity. 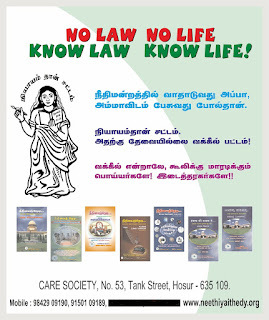 We published 5 volumes of the legal knowledge books, first, in Tamil, our state language, and have also got the books translated into English, the language, that is truly linking all the peoples of India. The socalled Rashtra Bhasha (National Language) Hindi links only Hindi states, and not the nation. The ordinary people in every state in India know only their mother tongue, and not English, and also not Hindi in non Hindi states. Hence any knowledge to percolate to majority population has to be in the local state language. We appeal to all public spirited Indians in India or abroad, and the NGOs of India to get the books translated in the languages of the states, whose folk they choose to help. Though there are private law books in the vernacular languages, they are generally clumsily translated, and do not convey the proper meaning contained in the English text of the Law. The reason is that the translator, generally lawyers, are poor in the nuances of the state lanugages, and also their understanding of the depth of the law is very shallow. They are in such artificial language as not to be understood by the common people. Further the individuals affected by legal problems cannot read all the law books, the Constitution of India, the Procedure codes-both Criminal and Civil, the Evidence Act, and the thousands of penal laws, including the Indian Penal Code. In this series of 5 books, Mr.Warrant Ba-Law has rendered these legal concepts in plain popular language, very easily understandable to the public at large. Even the average educated person can grasp the ideas in these books and can guide total illiterates also. We look at him as a researcher in practical law from different angles. Unlike others, who try to patent right their mere translations of laws, Mr.Warrant Balaw welcomes anybody to use his research findings as public property without claiming any private right to them. 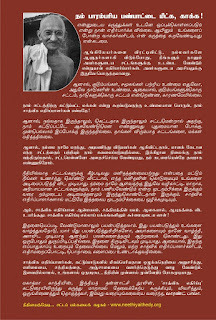 His books in Tamil published with financial assistance of the Govt. of India (Law Ministry), proclaim that no right is reserved by the author or publishers and anybody on earth was welcome to reproduce it or translate and publish it. He also has surprisingly found out that it was easier to get information from the Judiciary as well as all Govt. offices, that too as certified copies, free of cost, under section 74,76 & 77 of the Indian Evidence Act,1872. Though it is in the law book, others have not popularly practiced it. He has established this by himself getting such information. Some of those whose attention was drawn to this law, have similarly done this due to their unique capabilities. Once you are law knowing, the unjust orders, statutory rules or even laws can be got quashed by an individual approaching the appropriate court. An affected individual can also go to court and plead for a vacuum in law to be filled up, and succeed in that. Many a problem can easily be solved by the affected citizen sending a legal notice to the proper authorities. For example, the Govt. of Thamizh Naadu had imposed an unreasonable amount of Rs.50/- as application fees on a petition for infor mation under the Right To Information Act, 2005, whereas the Central Govt. itself required just Rs.10/- as fees. When, legislating on matters in the concurrent list, the state legislatures cannot build in provisions repugnant to the provisions in the existing or newly made Central laws, unless a special approval is obtained from the President of India under article 254. When such violations are brought to the notice of the appropriate govt., by the affected individual law knowing citizen, the matter shall be rectified. For instance, Mr.Warrant Ba-Law challenged, as early as 23.5.2006, the levy of Rs.50/- by the Rules under the Right to Information Act as fees for information petition by the Govt. of Thamizh Naadu. He wrote to the State Public Information Officer, and also marked a copy of it to the office of the President of India under article 254(1) of the Constitution, querrying whether any special permission was got/had been granted to such unreasonable levy contrary to the Central Act on the subject. The letter had a telling effect and the state govt. was forced to amend the rule on 20.9.2006, bringing the fee level down on par with that of the Centre. The state govt. had insisted on taking a DD for Rs.50/- and had levied Rs.2/- per page for copis. All this changed, and it was decreed by the state govt. to follow all that the Central govt. had dictated. The gentleman, Mr.Warrant Balaw, had used Sec.76 of the Indian Evidence Act, 1872 and not the RTI, 2005-to question the President of India (Central Govt.) to bring about the change of heart of the state Govt., though grudgingly. Though Balaw used the Evidence Act to beat the state govt. has incidentally made the RTI Act much more useful to the public. Mr.Warrant Balaw had been harping that the RTI Act was superflous and unnecessary in the light of the provisionsof the Indian Evidence Act, he proved, in practical life, to be a source of perfecting the RTIAct. Article 350 of the Indian Constitution guarantees the right of every citizen to present his grievances as petition in his own mother tongue (restricted to any one of the 22 state languages), and he is under no compulsion to use the official language. Supoose, you submit a petition under S.6(1) of the RTI Act to any of the officers of the Karnataka Govt., you had to petition either in Kannada or English, the link language of the Union, as per the previous order/practice of the state govt. of Karnataka. But, it is against the provisions of the Indian Constitution. Under Article 350 of the Indian Constitution, the Karnataka Govt. is bound to give the reply in Tamil, or Telugu, or Hindi, in whichever language the petition is presented. The petitioner can insist on a the reply in the launguage in which he sent the petition. This has been practically established by Mr.Warrant Ba-Law. He petitioned the President of India in 2004 in his mother tongue, Tamil, and got a reply in English. He would not accept the same, and quoted the constitutional provision-Article 350, and asked for, and got a reply in, Tamil from the Presidential Palace. This applies to the Supreme Court of India too. Mr.Warrant Ba-Law is concerned and is constantly poring over, all the 24 hours, as to which are the laws that are beneficial to the society or injurious or defective. His commitment to this mission has made him to reject an offer of employment abroad. He wouldn’t engage himself even in advocacy, though many of the readers would be thrilled to have him to plead in court on their behalf. He wouldn't like to get himself stuck up in a small arena by pleading the individual cases for the sake of financial gain. He can easily get a law degree and practice for a few years and get appointed to the judiciary. His thinking never went that side at all. His life’s mission is awaken the people to the legal rights and their duties as law abiding citizens. We have joined forces with Warrant Ba-Law to engage in this noble endeavor, which should normally be the concern of the democratically elected government of the people, run for the people, and by the representatives of the people. Hope the readers would extend all their support in this noble mission. The books have been supplied free of cost, to all the libraries, police stations, Prisons and Judiciary around 6500, across Thamizh Naadu and Pondicherry. 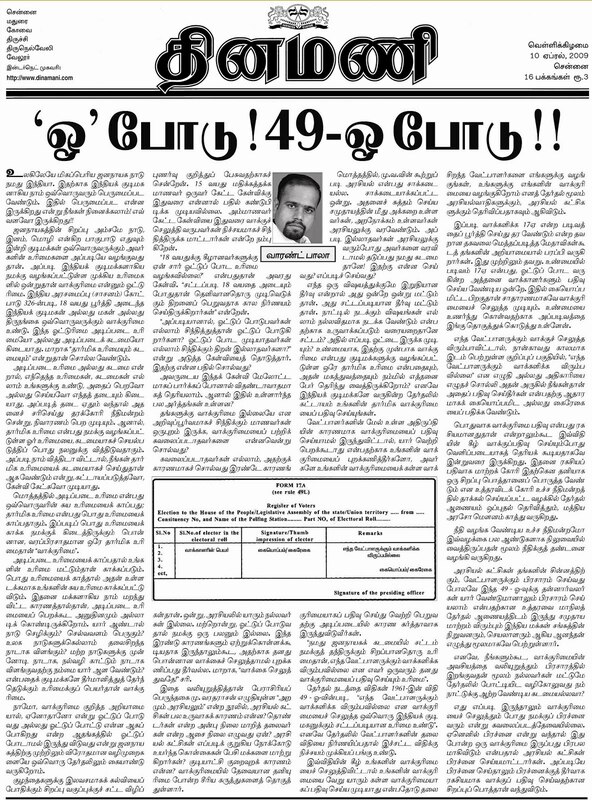 We feel that a sort of legal awakening has been stirred up in the Thamizh areas of the Country. Our earnest wish is that the work should be replicated in the vernacular languaged of the areas, in every region of India, so that this vast motherland of ours benefits. The very purpose of the laborious job of translating into a foreign tongue is to enable other language groups to grasp the idea and then render them in their own tongues. Mind you, we or the author do not claim any patent right to the book. You are free to translate and print and publish as your proprietor, with acknowledgement of the original authorship. We appeal to you and welcome you with folded hands to join forces with us to create legal awareness in the whole of India forgetting the caste, creed, race, religion and language. Members of the CARE Society.